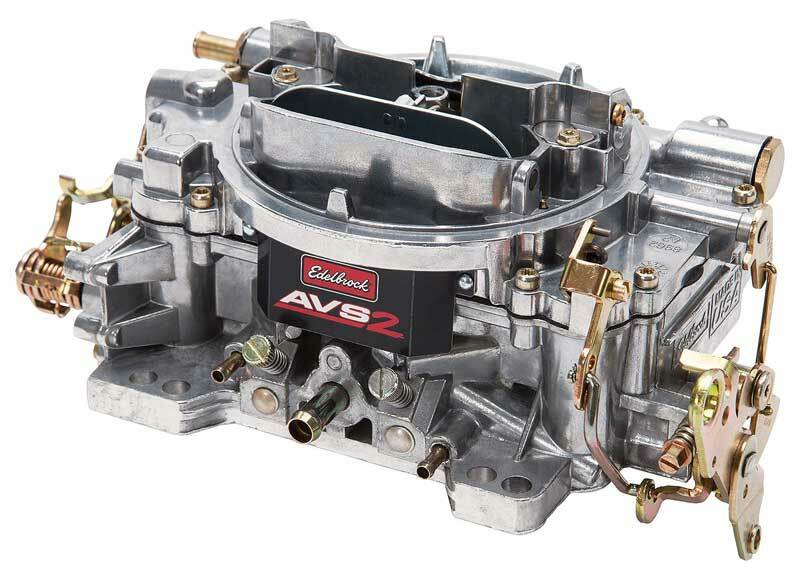 Performer Series carburetors complete the Edelbrock Power Package System for a smooth running and great performing "no guesswork" parts combination. 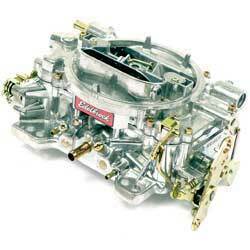 Edelbrock carbs put the fun back into your driving because of their unique ability to "hold a tune". 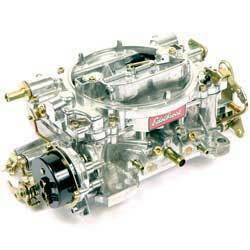 This means that compared to other carburetors, performance remains consistent and calibration is held perfectly. By design, Performer Series square-bore carbs are refined to provide the widest possible torque range when matched with Edel brock Performer, Performer RPM, RPM Air-Gap or Torker II manifold and camshaft combinations. 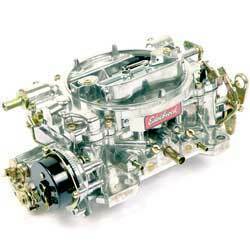 However, these carburetors are not limited to these applications, they also match well with most stock and other manifolds of similar design. 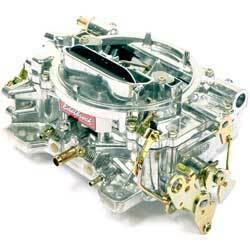 PerformerS eries square-bore carbs are all aluminum, ball burnished and lightweight. 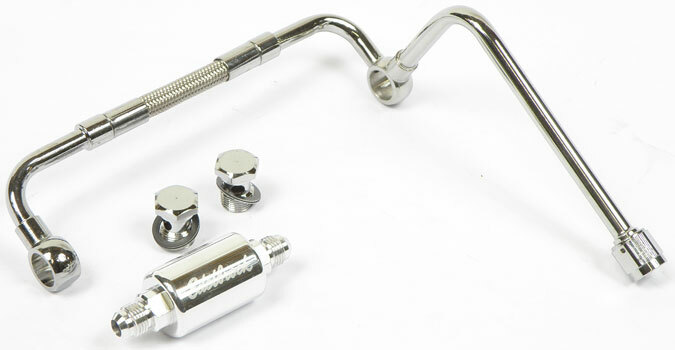 There are no power valves to blow out or plastic parts to break. 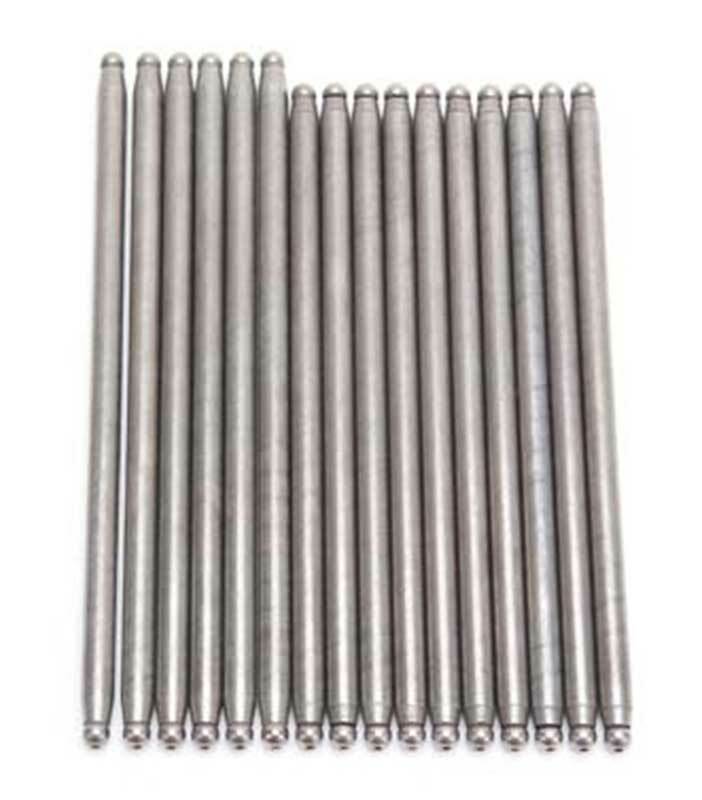 The two piece construction resists warping and the metering rods can be changed in seconds without removing the carb uretor. 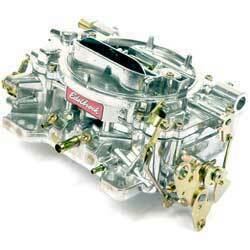 Edelbrock carbs bolt-on and run right out of the box! 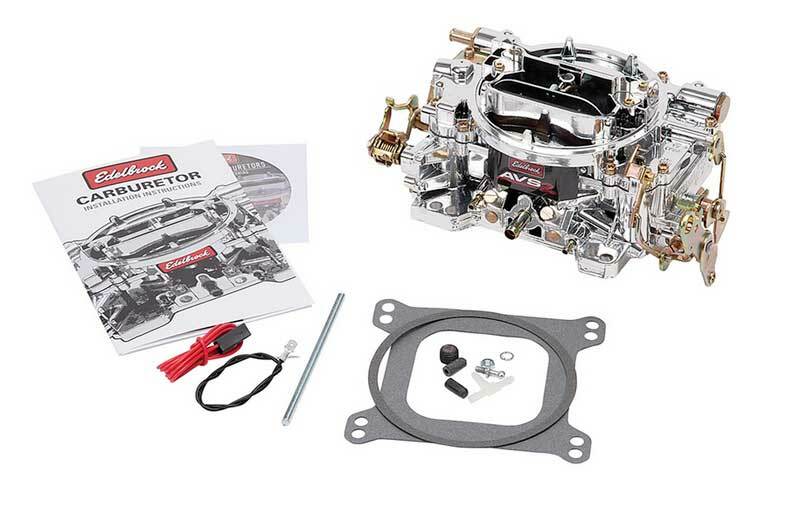 Simply dependable, proven performance for almost any carbureted vehicle plus all Edelbrock carbs come with an installation kit and owners manual. 50 state street legal* for all 1980 and earlier GM V8s. Calibrated for maximum fuel economy. Includes timed vacuum ports, EGR and fuel vapor outlet. * C. A. R. B.  (California Air Resources Board) E.O. #D-215-10. 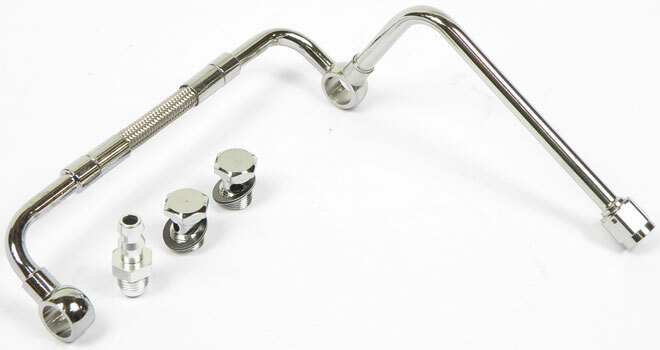 Specifications: Metering Jets - Primary .098, Secondary .095 Metering Rods - .073 x .047 Step-Up Spring - Orange (5" Hg) Venturi diameters - 1-3-16" Primary, 1-9/16" Secondary Throttle blade diameters - Primary 1-7/16", Secondary 1-11/16" Important: Not for computer controlled engines.